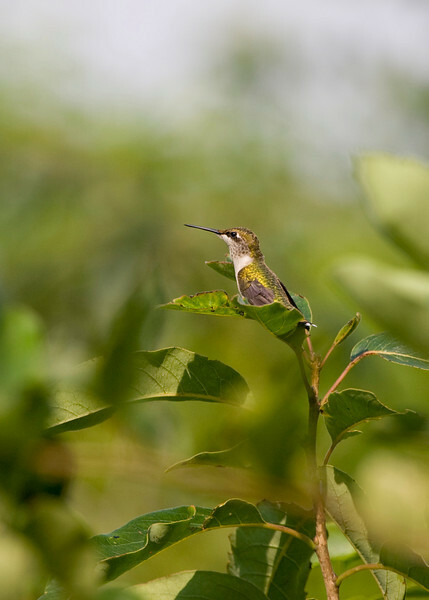 Female or Juvenile Ruby Throated Hummingbird, not sure which. First time I have ever got a clear shot at one without a feeder being involved and this one was completely in the wild. I've always admired Andrea's hummer shots and now I have one of my own :) Taken at Huntley Meadows in Alexandria, VA. Thanks Kurt -- this is fantastic. It almost looks like the tree is growing the hummer like a little bud. Great picture! I've been trying to get a good one but haven't had any luck! Congrats! Great shot! Looks like she was just waiting for you.